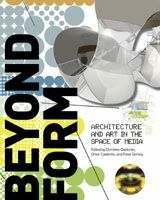 Edited by Omar Calderón, Christine Calderón, and Peter Dorsey. Essays by Neil Leach, Jeffrey Kipnis, Omer Fast, Andrew Benjamin, Donald Kunze, et al. Introduction by Saul Ostrow. Thanks to digital technology and post-structuralist thought, architects and artists are facing a brave new world of bodies without organs, buildings that circumscribe their function, and art that forms a prosthetic hard drive for our consciousness. In this schema, technology, which Marshal McLuhan theorized as the extension of our bodies into the world, has become inverted and is now literally seen as modifying and transforming our relation to that world through media's ability to not only create the means of representation, its subject and content, but also organize author and audience alike. 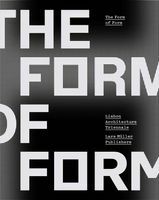 Beyond Form is both a celebration of our situation and a critical survival manual. 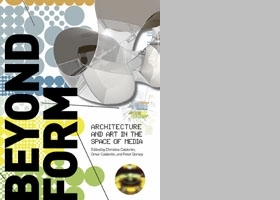 The contributors to this volume, including artists Jennifer Steinkamp and Maureen Connor, respond to the mediating space of technology, aware that the forms of the future lie within the indeterminate content of cultural production and consumption itself, and not within the ideal of the technological sublime of modernism that had in the past reduced this issue, both performatively and iconographically, to a question of form, function and style. FORMAT: Paperback, 7 x 9.5 in. / 192 pgs / illustrated throughout.